Home › Utility / Support Vessel › Shoalbuster › Shoalbuster 2709 › Shoalbuster 2709 "Isa"
On the 9th of December we had the naming ceremony of the Shoalbuster 2709 Isa of V.O.F. 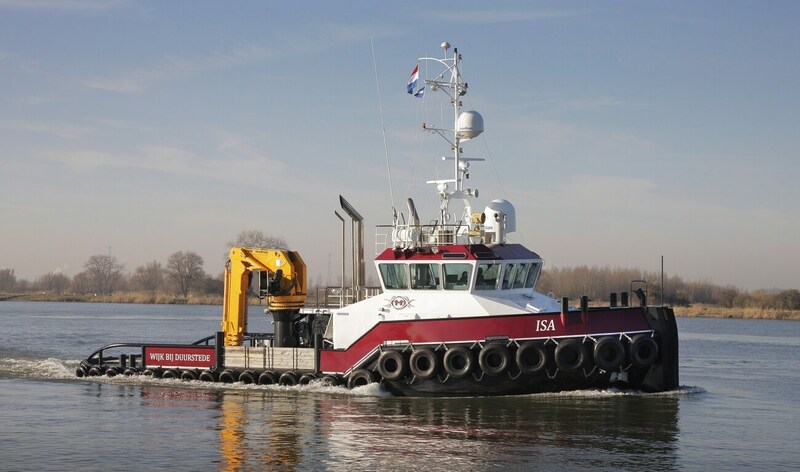 Sleepboot Isa based in Wijk bij Duurstede. The Damen Shoalbuster 2709 is a highly versatile workboat, despite its compact size this version will have a bollard pull of 41.2 tonnes. She will be deployed on a wordwilde basis. The vessel was named by Miss Isa Mastenbroek, daughter of Mr. Willem-Harm Mastenbroek (owner and managing director at V.O.F. Sleepboot Isa).